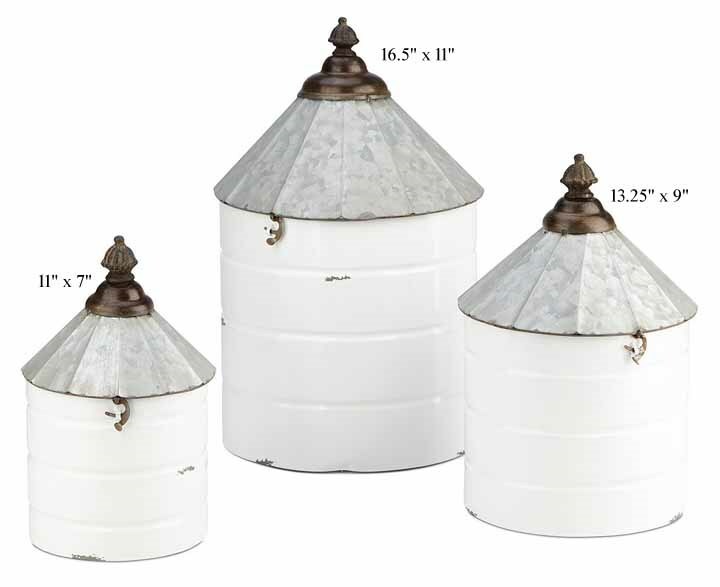 'Savannah' Canisters - Set/3 - 11"/13.25"/16.5"
Replace your old canisters with these rustic metal, decorative containers. These pieces beautifully portray a visual imagery of a house for a classic, conventional look. Stylishly declutter small and important items in your home using these exquisite pieces.